I feel most like myself when I’m in sweatpants. The first thing I do when I get home is put sweatpants on. Other ways of expressing my gender feel like drag. I want to be perceived by others as a person who wears sweatpants and challenge cultural assumptions about sweatpants-wearers. They are an important part of my identity, and when I’m fortunate and in comfortable places where people aren’t too judgmental, I can express this identity. Other people have other gender identities, and I don’t know how mine fits in, but this really feels like me. 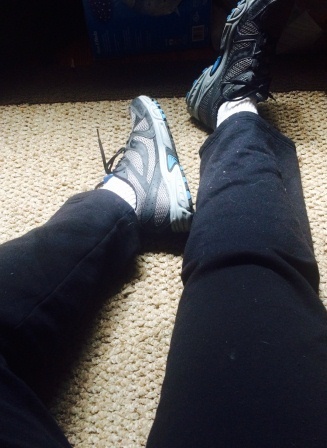 To be more precise, my preferred gender expression includes a 100% cotton navy blue t-shirt, black or dark grey sweatpants (although jeans are okay sometimes), and sneakers. If it’s hot out, gym shorts. Where that puts me on the gender label spectrum, I don’t know. Limitations of the spectrum, perhaps–needs a sweatpants dimension?